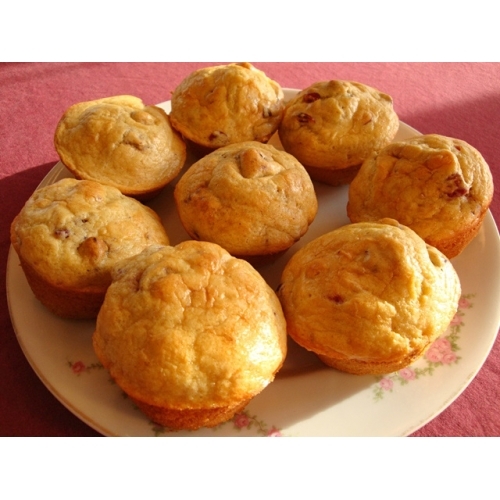 Try these muffins with fresh cranberries, raspberries, strawberries or blackberries! Prepare LC-Muffin Mix as directed. Grease AND spray a muffin pan. Pour batter into tins, filling about ¾ full. Bake at 375 degrees on a rack higher in the oven for 13-15 minutes or until slightly browned. Cool in pan 15 minutes before removing muffins to cooling rack.